Cascadian Landscape specializes in complete residential landscape designs. Cascadian has been providing northern california residents with some of the most breath taking landscape designs in the area. We provide custom and innovative residential landscape designs to match your landscape dreams while staying within your budget. Our landscape designer will work one on one with you to deliver an amazing residential landscape design. We have been in business almost 25 years and we can help you build a timeless landscape design that can be enjoyed for years. 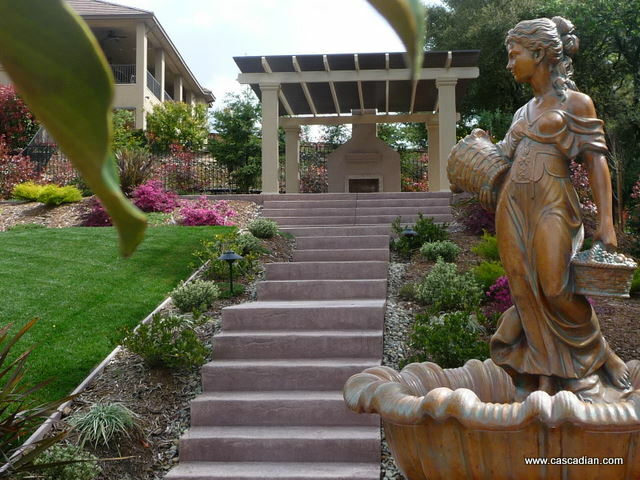 Cascadian Landscape is northern California's premier residential landscaper. Our residential landscape designs have been featured in popular magazines. Call Cascadian Landscape today to get your free estimate.